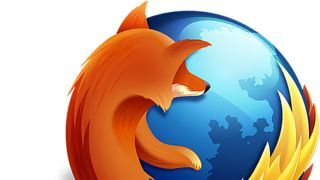 The 'Directory Tiles' on the Firefox browser's homepage will soon be occupied in part by the firm's advertisers, the firm has revealed. In a blog post, Mozilla explained how the Directory Tiles initiative will be aimed at 'first timers,' with the nine tiles offering 'pre-packaged' content to explore rather than serving up a blank canvas. "The sponsored tiles will be clearly labeled as such, while still leading to content we think users will enjoy." Over time, those tiles will be filled with the user's favourite websites, as it is for those already using the software. While the sponsors will be an inconvenience to some users, their addition is somewhat more palatable given the Mozilla Foundation's continuing status as a non-profit organisation. "We are excited about Directory Tiles because it has inherent value to our users, it aligns with our vision of a better Internet through trust and transparency, and it helps Mozilla become more diversified and sustainable as a project," Herman added. Have you heard about the Firefox OS smartphone that dual boosts with Android?